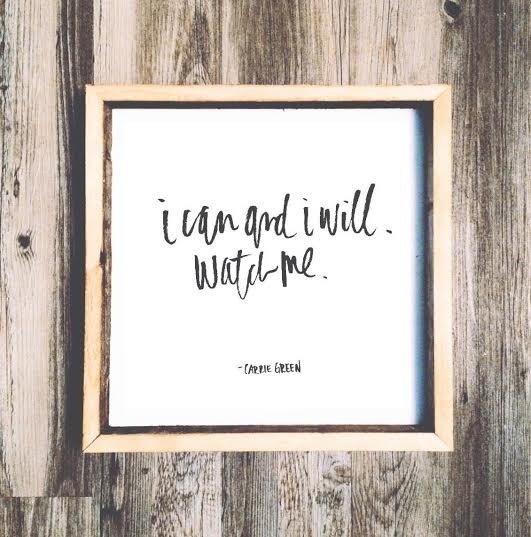 When you're a maker, sometimes you need a little bit of encouragement to keep going. You need to be reminded that all the hours are worth it. That you can learn new things. That people really are going to love (and hopefully even buy) that thing that you're creating that is really an extension of your heart. 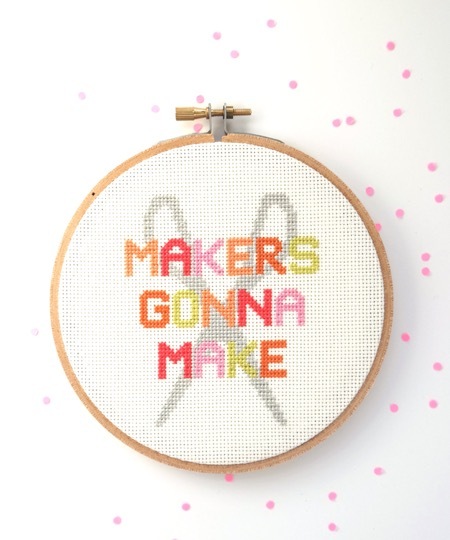 And I love that makers realize that they can create things that become a pep talk for other makers. This print from Bubby and Bean just makes me happy. I want to put it right above my desk in my studio. 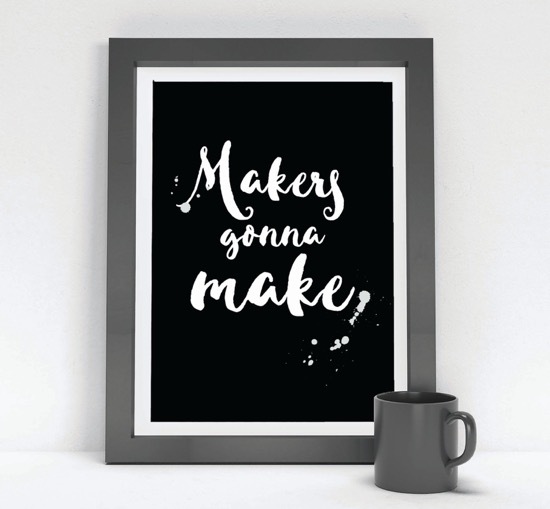 This maker life tee from Small Glow delights me. So sweet. Also love the long-sleeve version + this mug + this shopkeeper tee. Yep. Love this whole shop. Love this reminder from Signs with Soul for those moments of doubt. 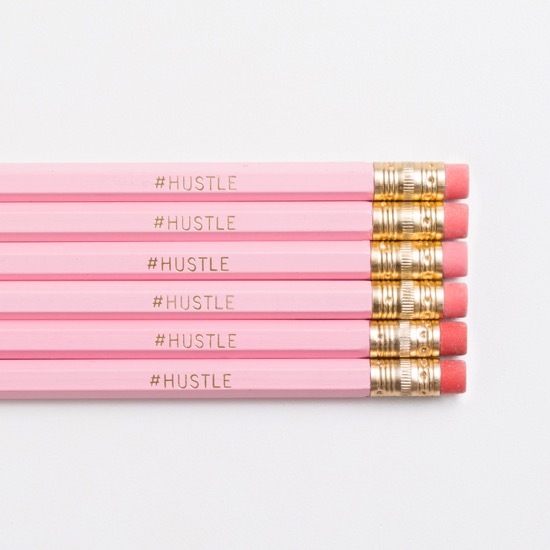 These pencils from Harvest Paper Co. make me smile. Pink! 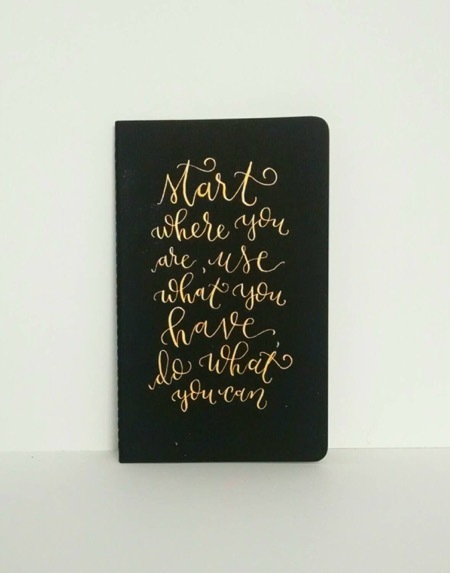 This journal is hand lettered by Sarah Cason Designs with one of my favorite quotes that reminds you to stop waiting for it all to align and just get started right where you are. This wall hanging would make me sing my own version of "Shake It Off" every time I see it. And the best part? There's also a listing for a pattern so you can make your own. 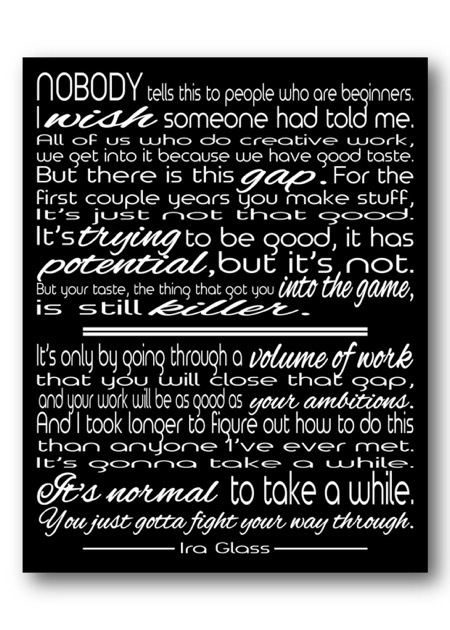 I turn to this Ira Glass quote again and again (print from Pink Milkshake Designs). It is a really good one to have on your wall. 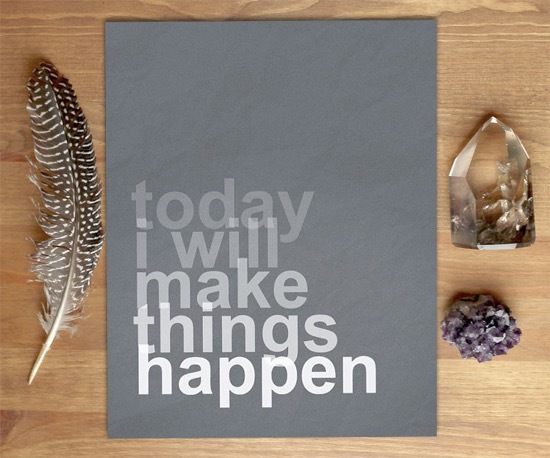 And this notepad from The Hipster Housewife is perfect for your daily to-do list or, my favorite, your "what I did today" list. Also love this mug and this necklace and this sweatshirt. 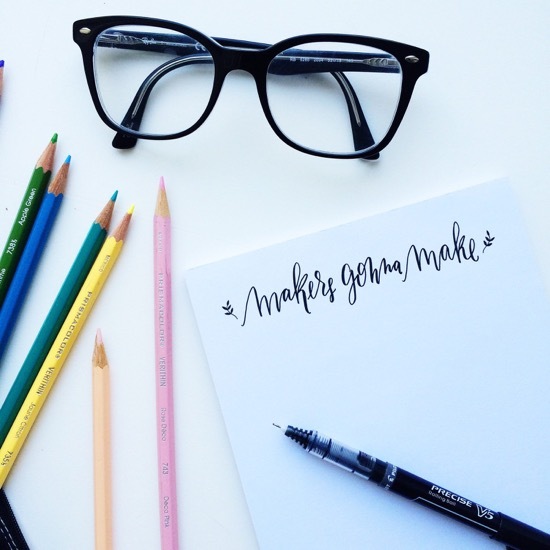 An invitation: Are you a maker? Share a little about you and your shop with a link to your site in the comments so I can visit. Would love to possibly feature you in a future post. Note that some of these links are affiliates, which means I receive a small commission if you purchase through the link. All photos are copyright to the makers mentioned. To check out other posts in this ongoing series where I celebrate makers and the good things they create and design, head over here.